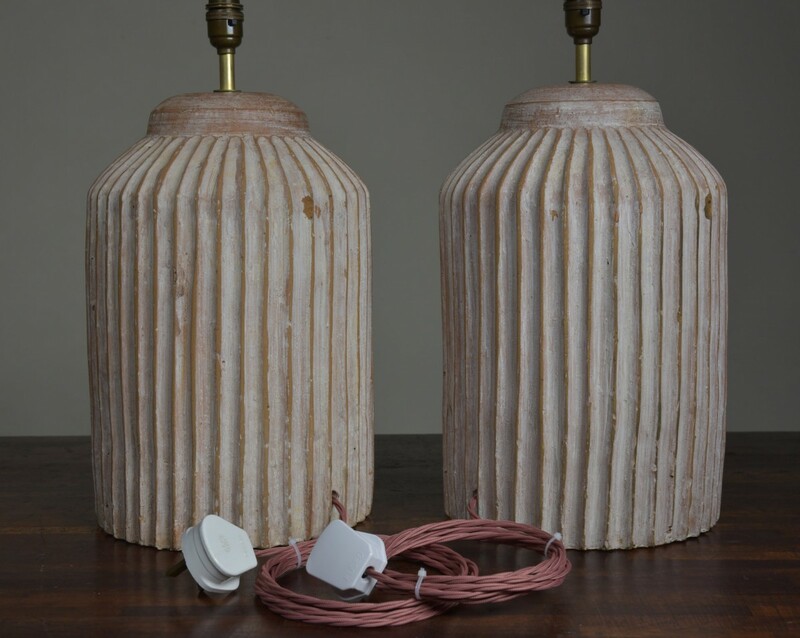 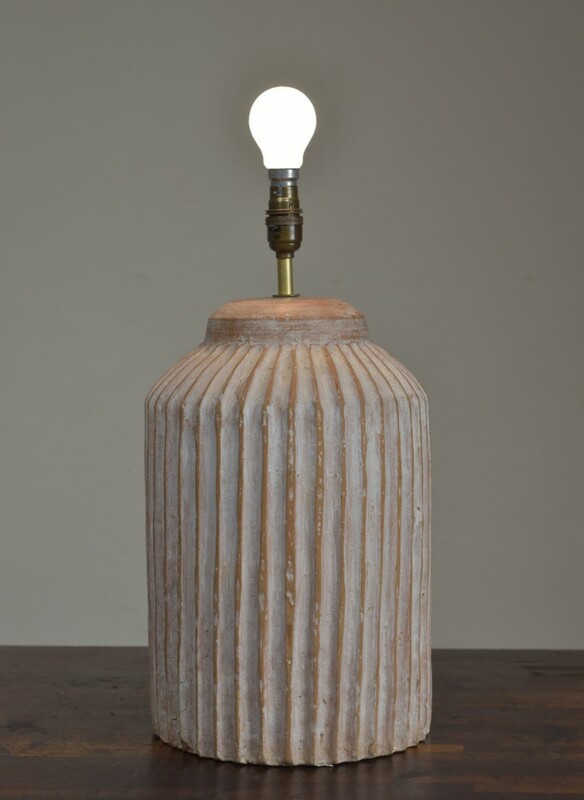 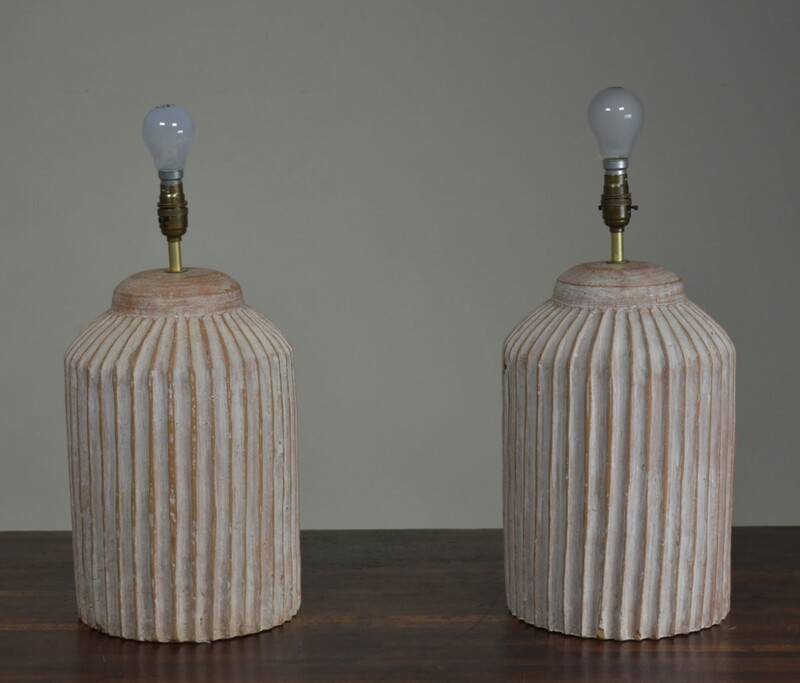 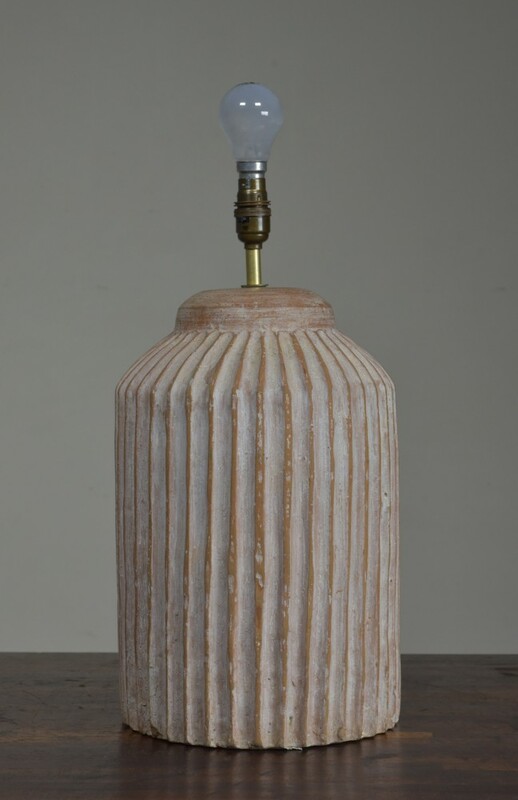 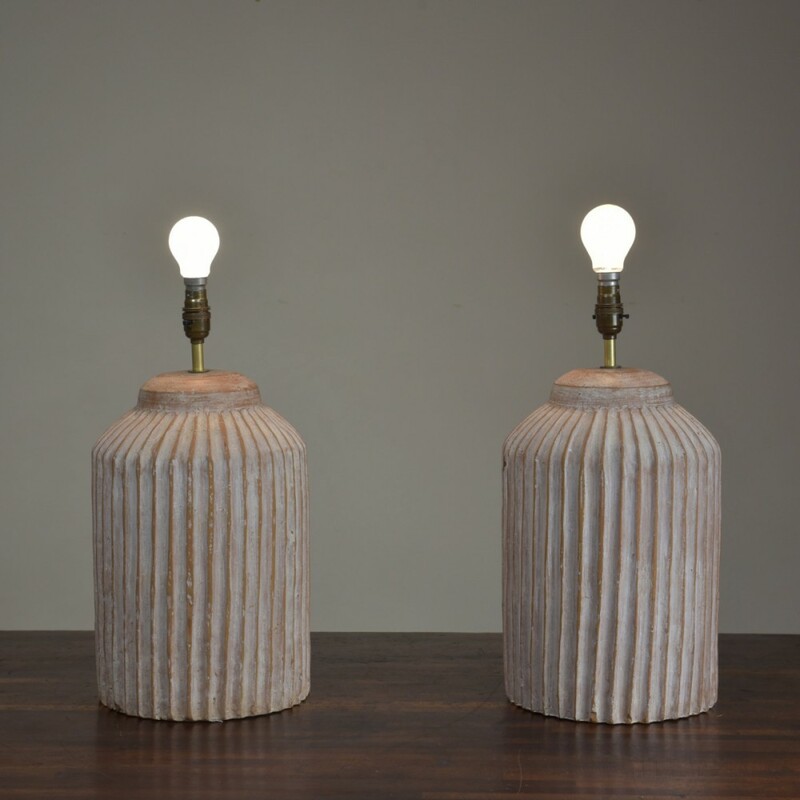 A pair of large terracotta fluted table lamps. 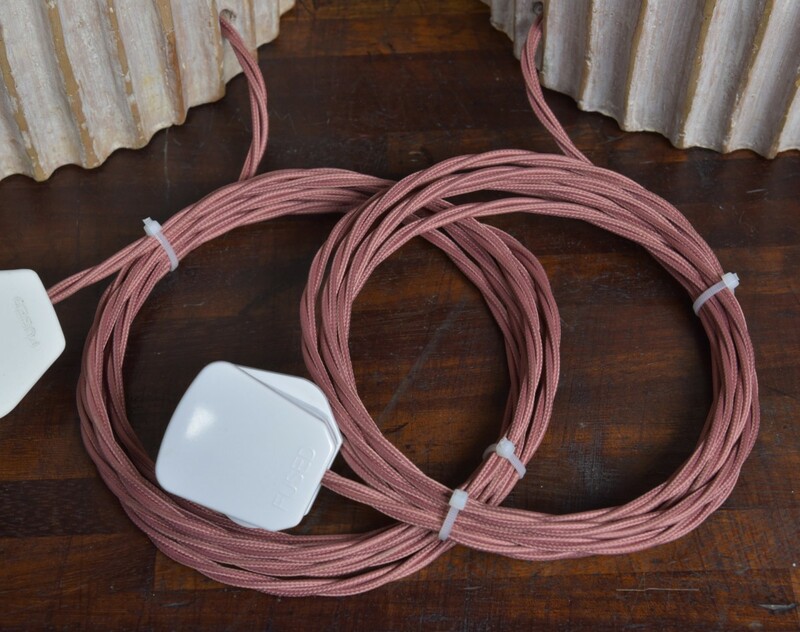 Rewired with 2.5 meters (exposed) rose pink fabric flex, switched safety lampholders (antiqued brass,British made), white hard plastic traditional plugs. 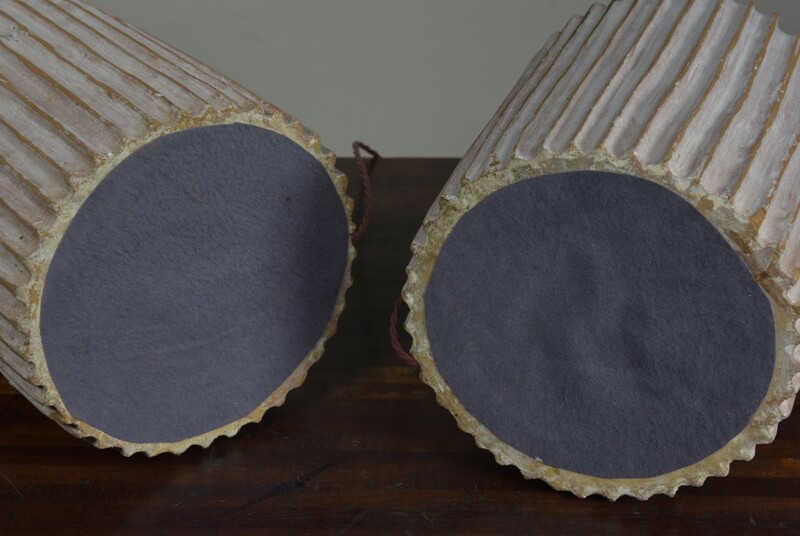 Bases covered with quality fabric. 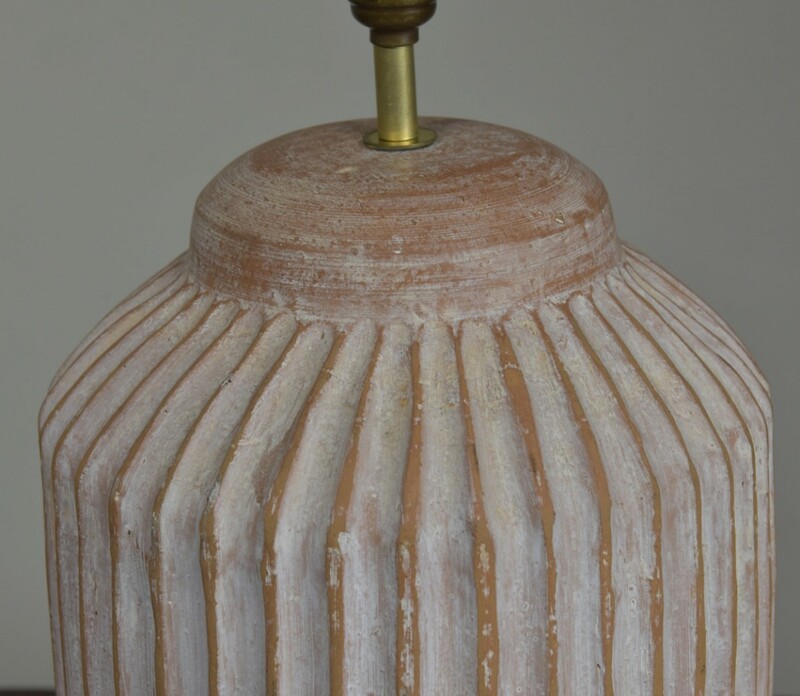 Dimensions in inches/cms; 18"/46cms tall including lampholder 9.5"/24cms diameter For more / higher res images please see my blog which can be accessed through the news section of this (haes) website.